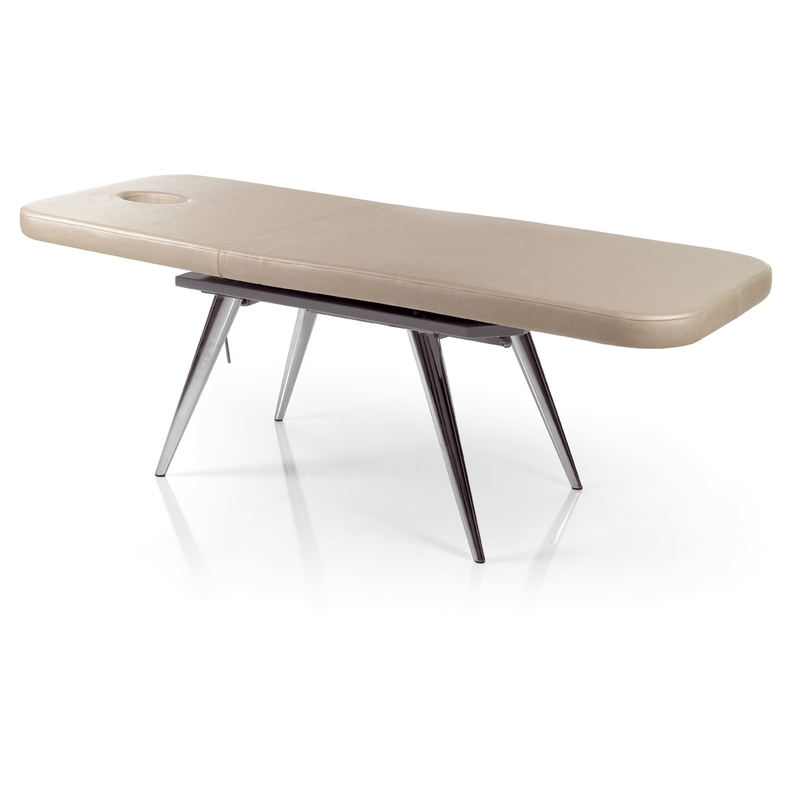 Massage table - Easily mounted chrome finish legs fixed height positioning 79 cm. (31") - Internal metal frame eliminates top deflection. - Manual self blocking back pivot. - Upholstery in vinyl 34 color options. - Integrated face port with optional plug.